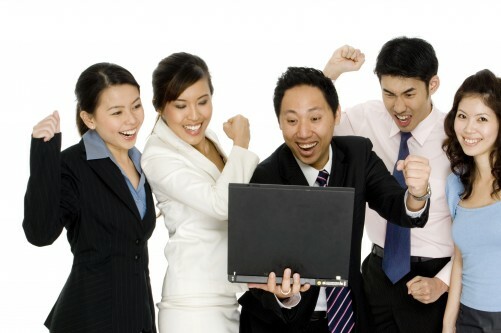 RECENT research has shown that employees in Singapore are not happy in their workplace — indeed, out of 14 countries polled, Singapore was ranked last in workplace happiness! Unsurprisingly therefore, they also ranked as the least loyal to their employers. The research also revealed that only 12 per cent of the Singaporean employees surveyed reported having a positive and supportive workplace. Worker perceptions such as these usually accompany less than optimal productivity and a higher than desired staff turnover rate, including problems with talent retention. To remedy this situation, employers must be aware that loyalty and staff retention are not just about money, but about whether staff perceive themselves to be appreciated, valued, supported and respected. So what can individual managers do to make employees happier in the workplace and thus increase productivity, loyalty and talent retention? There are six areas that might be improved upon. The first three are discussed below, and the following three in Part 2 tomorrow. How often do you hear managers saying “thank you” to staff for their efforts? Even when people “go the extra mile”, they frequently are not thanked. A simple “thank you” every now and then has a positive effect on employees and tends to result in them doing more. Similarly, praising staff not only for extra effort or showing initiative, but also for just doing their job well, can help create a positive atmosphere in the workplace. Being supportive of staff has two aspects — supporting them in doing their job and supporting them with the non-work part of their lives. Even employees who are getting the job done may be struggling to do so. Having a chat with individual employees to check on how they are getting on can sometimes uncover seemingly simple little things that inhibit easier or greater performance. Such chats can also reveal problems in their non-work life, and since what affects their personal life affects their work, facilitating or assisting them in resolving personal issues will also facilitate greater productivity. More importantly, by being personally supportive of staff, the manager builds a more positive and supportive workplace. The primary responsibility for the training and development of staff lies with the individual manager. The training or learning and development department is responsible for supporting managers with this, but the primary responsibility lies with the line manager. Managers should be proactive in this regard and always include training and development in performance reviews. Even outside of the formal review, managers should be attentive to signs of a training need or a subtly expressed desire for development. Providing training and/or development opportunities need not necessarily involve enrolling in a course or spending cost-scarce money. The old “sitting next to Nellie” type of training, where an employee sits in with a more experienced or better performing member of staff, can produce great results. So too can simply letting a staff member shadow a more senior person for a period to learn more about a job they aspire to. By providing such opportunities, a manager can foster a better atmosphere of support and loyalty.